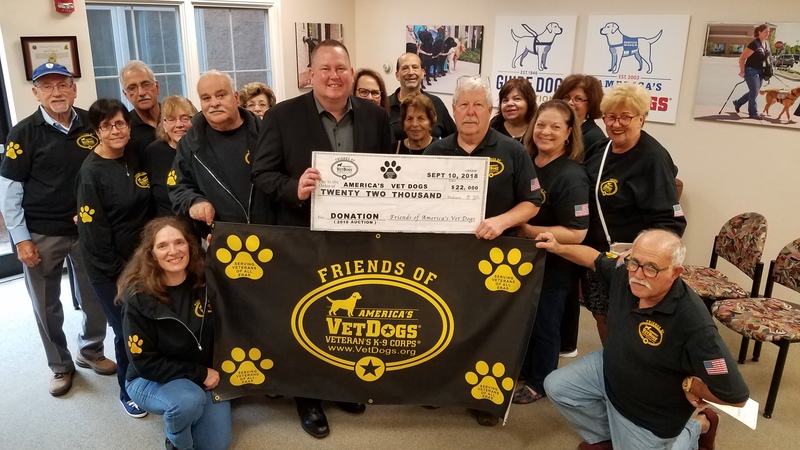 Friends of America's VetDogs is an all-volunteer community service group founded in 2015 with the sole and express purpose of helping honorably discharged veterans get a service dog through America's VetDogs. 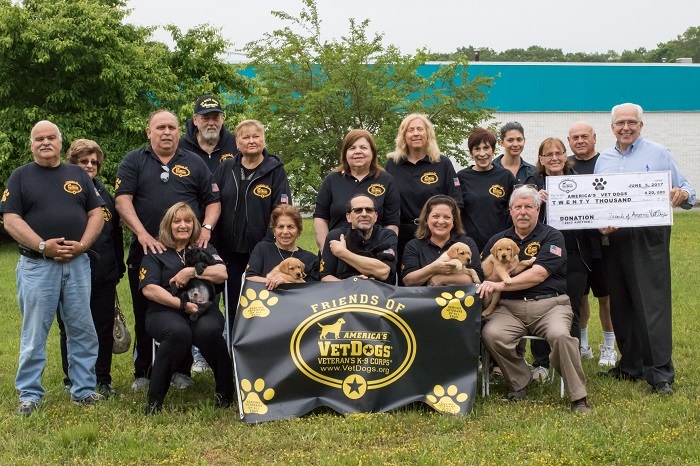 The group is comprised of about 25 individuals who work tirelessly to bring awareness about America's VetDogs and to raise funds to sponsor new assistance dogs for veterans with disabilities. 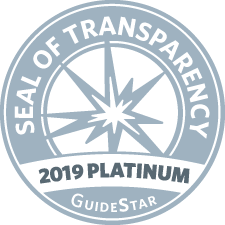 The group sponsored three puppies in 2015 (Maddy, Sarge and Pepi); three in 2016 (Sully H W Bush, Sayville and Ruby); four in 2017 (Webber, Florence, Ballard and Navajo); five in 2018 (Brady, Jennifer, Jackson, Kelley and Norris); and hope to continue doing this for years to come. As of December 2018 they have raised more than $85,000. 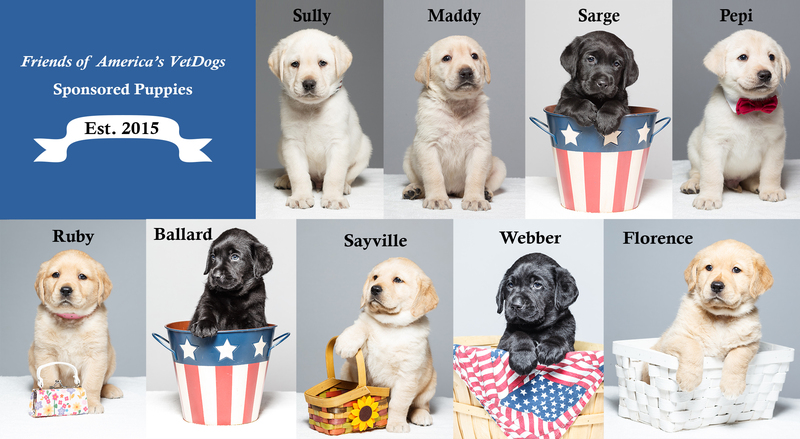 Friends of America's VetDogs members name each dog they sponsor to honor an unsung hero of our military. Their major fundraisers include a Chinese Auction held every spring, yard sales, comedy shows and other events. For more information, please contact co-founders Cliff Miller & Patricia Summers either by phone (631-567-9493); by email (firehelmetmuseum@aol.com) or by mail (Friends of America's VetDogs, c/o Cliff Miller, PO Box 18, Bohemia, NY 11716-0018) with any questions or comments. 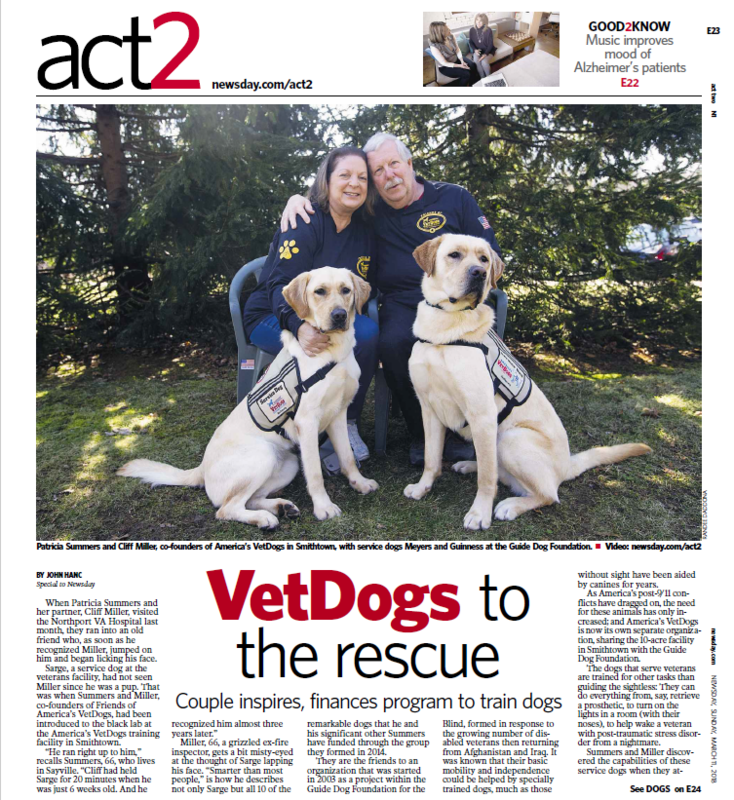 Each of their events are also posted on the America's VetDogs calendar (VetDogs.org). Donations of any amount (which can even be in the form of a tribute 'In Memory Of' or 'In Honor Of' someone) can be made by using the link immediately below. Puppy sponsors have the opportunity to name a puppy that will be raised by a puppy raiser family. A puppy sponsor receives a photo and certificate of the puppy once it’s been assigned a name. The sponsor receives periodic updates on how the puppy is progressing in the program and will be invited to "Celebration Sunday" should the dog be scheduled to graduate from the program. This contribution is $6,000 and helps to cover a portion of the costs associated with breeding, puppy raising, and veterinary care. A dog sponsor will be listed in our annual report. We cannot offer a replacement for any puppies that are “career changed” out of the program. Medical and/or behavioral issues can prevent a dog from graduating on class. To learn more, download the Puppy Sponsorship brochure and application.